170 Piccadilly, London. The building is now demolished. 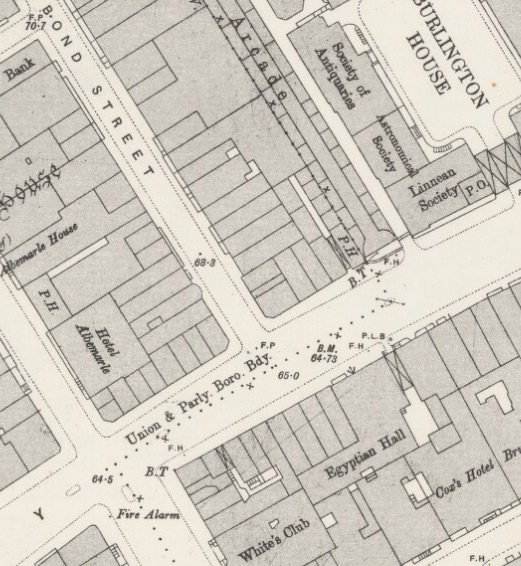 The map below (from Old Maps Online) shows the location just opposite Bond Street.